Why Do So Many ATS Vendors Offer Poor Search Capability? This question has been burning in my mind for quite some time – why is it that so many ATS/recruiting CRM vendors offer poor or limited candidate search functionality? I’m not talking about ATS vendors you’ve never heard of – I’m talking about some of the biggest names in Applicant Tracking/Candidate Relationship Management applications. I’m well aware that ATS’s serve many critical functions beyond searching for the candidates contained within them, but let’s pull no punches here – you can’t hire someone, or begin to automate candidate relationship management with someone you haven’t FOUND in the first place. And just because a candidate is buried somewhere in your database, it doesn’t mean you’ve actually found them (or can find them when you want or need to). The bottom line is that data is of little to no value if you can’t retrieve the information you want, when you need it. What is the point of storing human capital data if you can’t precisely retrieve exactly what you want, when you want it? I won’t get into automated/system-side semantic search and match in this post – I’m going to focus on the ability to manually enter search strings to find candidates. A company’s internal candidate database is made up of people who have responded to that company’s job postings, people who went to the company’s website and entered their resume and information (not in response to a specific job), and people who were identified elsewhere (employee referral, LinkedIn, Twitter, Monster, niche job board, the Internet, etc.) and entered into the database by an employee. One could easily argue that this pool of candidates should be the first place sourcers, recruiters and hiring managers look when they need to find candidates. Unfortunately, this is not the case. A recent survey conducted by TalentDrive, which polled over 8,000 companies and staffing firms, confirms this to a shocking degree. They found that “98% of the companies surveyed did not find Talent from within the existing Company ATS.” In other words, candidates can check in, but they don’t check out. Not quite as shocking, but equally disturbing is that an Online Sourcing Survey conducted by TalentDrive found that almost two-thirds (64%) of the employers represented by the survey’s participants did not know how many qualified candidates were in their own ATS databases. I think I know one of the major contributing factors to both statistics – most ATS’s aren’t very searchable! I believe the reason why Applicant Tracking Systems are often used as the “source of last resort” is because most ATS’s have candidate search functionality that is far inferior to what sourcers and recruiters have available to them in LinkedIn, any of the major job board resume databases, and even Google. Can we blame recruiters for going first to sources they have access to that actually ENABLE them with the power and control to quickly find the people they need? If you take a look at large repositories of deep human capital data, such as those offered by LinkedIn and the “big 4” job board resume databases (Monster, Careerbuilder, Hotjobs, and Dice), you’ll find robust search capability. All accept full Boolean logic, accept relatively long/complex/precise search strings, feature zip code radius search, and offer field-specific searching. Monster takes Boolean search one step further by offering proximity search with the NEAR operator, and Careerbuilder offers advanced AI matching with their R2 functionality(which I think it powered by Sovren – can anyone confirm this?). 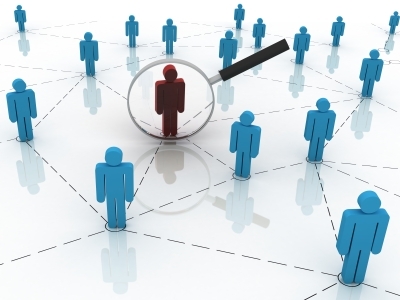 Regardless of how many excellent candidates may be buried in a company’s ATS/CRM, if recruiters can’t run appropriately precise searches to quickly and easily retrieve highly relevant results, they are actually incentivized to use other sources to identify candidates. Sourcers and recruiters will naturally gravitate to what works for them, and unfortunately, in many cases, it isn’t their ATS. When I recently challenged a major ATS vendor regarding their extremely short candidate search field (100 characters, including spaces), their response included this interesting and unanticipated angle – they claimed that 99% of their clients are statisfied with their short search field. In other words, very few prospective or current customers of their ATS asked about, commented on, or asked for improvement of the short search field. A representative of another well-known ATS chimed in on Twitter and said they also don’t come across many clients asking for more than 100 characters in the candidate search field. I can only assume that their customers either aren’t very proficient at talent mining, don’t understand the value of human capital data, or worse – both. Regardless, we’ve already seen the statistics from TalentDrive’s surveys – most companies don’t even use their ATS to identify candidates. If they’re not using their ATS to find talent, why would they care about the length of the search field, or even if it supports basic Boolean logic? So what we have here is ATS vendors who are not developing and offering robust candidate search capability because their customers aren’t asking for it. Okay, I understand “the customer is always right,” but it’s a sad state of affairs when companies who create talent/human capital solutions are not incorporating strong/advanced candidate search capability into their products because their customers don’t understand the value and full potential of human capital data. Whatever happened to educating and informing your customers, providing training, and offering a product that exceeds your customers’ expectations and provides them with a true competitive advantage? I conducted a very informal poll on Twitter and Facebook, asking sourcers and recruiters what they thought of a 100 character candidate search field limit, and 100% of those who responded all felt that it would handicap their ability to find the right candidates. By comparison, Monster’s resume database has a keyword search field that accepts up to 500 characters, LinkedIn’s search field is bottomless (I just crammed 6003 characters in the keword field and LinkedIn laughed and asked, “Is that all you got?”), and even Google accepts up to 32 search terms (at an average term length of a little as 5 letters, that’s still 160 characters, NOT including spaces or operators). The TalentDrive survey discovered that the number one sourcing challenge facing companies currently is filtering through the mass of resumes and increased number of applicants. In other words, the candidate “haystack” is getting HUGE, and it’s becoming more challenging to sort through it to find the needles. Ultimately, short and basic candidate searches are imprecise and yield a high volume of imprecise results, riddled w/false positives. Without more room to create search strings that are appropriately precise, relevance will suffer, and with more resumes to search through – the issue is exacerbated. I firmly believe that the one aspect of recruiting that has the most potential to improve the speed of talent identification (the time to find metric) and increase the quality and quantity of candidates identified is electronic talent discovery and identification. With each passing day, there is more data available on more people somewhere – on a social network, in a resume database, or in your ATS – and it will only increase and accelerate. The ability to slice and dice human capital data will afford companies a HUGE competitive advantage. The ability to extract value out of human capital data is already, and will continue to be, THE complimentary scarce in recruiting and staffing – but most people just don’t know it yet. ATS/Recruiting CRM vendors need to step up, recognize this, and offer their clients solutions that enable them to truly capitalize on their human capital data and offer them a competitive advantage. If anything, I feel that employers and staffing firms should provide their recruiters access to MORE powerful and capable candidate search functionality than publicly and widely available resume databases or social networks. If they don’t, their ATS will continue to be the candidate source of last resort. I believe that ATS/CRM apps should essentially serve as talent intelligence solutions, not unlike business intelligence solutions and decision support systems. The power lies primarily in the the human capital data/information stored within, and the ability to retrieve and analyze that information for talent identification and to make hiring decisions. I don’t believe that the majority of the recruiting life cycle has changed over the past 20 years, or will change all that much in the future. Building relationships with current and potential candidates will always be at the heart of the recruiting process. However, the one step in the recruiting process that has changed dramatically is sourcing, or talent discovery/identification. Information systems and applications have evolved rapidly over the past 20 years, and will likely continue to do so. With more information available about more people growing with each passing day, information retrieval becomes absolutely critical. The ability to instantly retrieve information about the right people at the right time can accelerate a company’s ability to build relationships with more of the right people more quickly, leading to faster and higher quality hires with less effort. If you find that concept interesting, I suggest you read these two posts about Lean/Just-in-Time recruiting. If you work for or use an ATS that has strong candidate search functionality – Congratulations, you are among the fortunate few! Vendors – make sure your customers fully understand and leverage that power. Users – take full advantage of the candidate search capability, and be sure to not use your ATS as a source of last resort. Those candidates in your ATS are there for a reason – either they expressed interest in joining your company, or someone in your company expressed interest in them! If you work for an ATS vendor with poor/limited candidate search functionality – Why do you offer sub-par candidate search capability? Recognize that the future of human capital information systems lies primarily in talent discovery and identification. Either build in your own robust candidate search capability, or simply integrate any one of a number of excellent 3rd party text search and/or resume parse/search/match applications that are available. Educate your current and potential customers and explain to them the value and potential of human capital data. CRM functionality is great, but is of little value without the ability to find the right people to begin to manage relationships with in the first place! If you currently use an ATS with poor/limited candidate search capability – Send this article to your vendor. Let me know how they respond, and if/how they can answer the question of why they offer such poor/limited candidate search functionality. They’re essentially putting you at a competitive disadvantage!